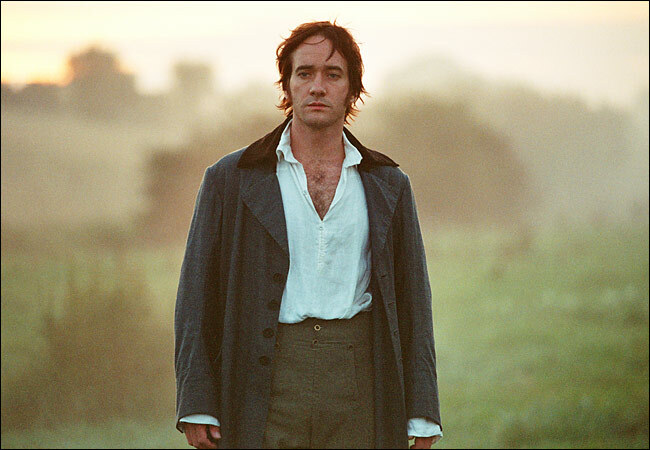 This entry was posted in Austen Literary History & Criticism, Jane Austen, Jane Austen Popular Culture, Literature and tagged Colin Firth, Fitzwilliam Darcy, Jane Austen, Literature, Matthew MacFadyen, Mr. Darcy, Pride and Prejudice. Bookmark the permalink. ← Playing Jane Austen ~ The Jane Game Launches on Kickstarter! Thank you for this, Deb!!! I can’t adequately describe how much I enjoyed it. I fall much into your camp in terms of the whens and hows of Elizabeth and Darcy making their respective leaps. I have spent the last couple of years poring over these passages, as the project I am currently writing deals, in half the storyline, with Darcy’s and Lizzy’s relationship as seen from the Darcy family perspective. And I always think back to the passages that refer in some manner to Elizabeth being “determined” to dislike Mr Darcy! Doesn’t speak to being unaffected to me, LOL. I also think of Caroline Bingley swearing that Mr Darcy is not to be teased — and yet she (and others like COL Fitzwilliam) spend half the book teasing him with no great repercussion. The timing of this was wonderful for me – a breath of fresh air – as I have only recently been catching up on reading essays in JASNA’s Persuasions. And I just finished one that purported – and shows lots of rational examples – that Elizabeth was not the least bit attracted to Darcy until after both learning of his character alteration, and of his status hitting her between the eyes. It is only at the very end (and they mean the very end) that she realizes she COULD love him… and hadn’t even reached that state yet by the novel’s close. I read the entire article, but much of it was a blur as I was too busy shaking my head much of the time. And I recalled being in a college speech class where our professor provided us examples of the same piece of writing providing rational support for two opposite and extreme opinions – only proving that a collection of discrete facts without greater context can be made to ‘prove’ anything. Oops! Sorry I’ve gone on so long. Can you tell this is a topic close to my heart??? In the end I just want to say, thanks again!!! And bring on Volume II !!! Thanks Tess – you can never write anything too long! I have seen similar essays written, and I can only shake my head in annoyance. HAVE THEY READ THE BOOKS? I am glad that I am not the only one who feels this way. Elizabeth LOVES Darcy by the end. Period. I’m looking forward to your post on Volume 2. 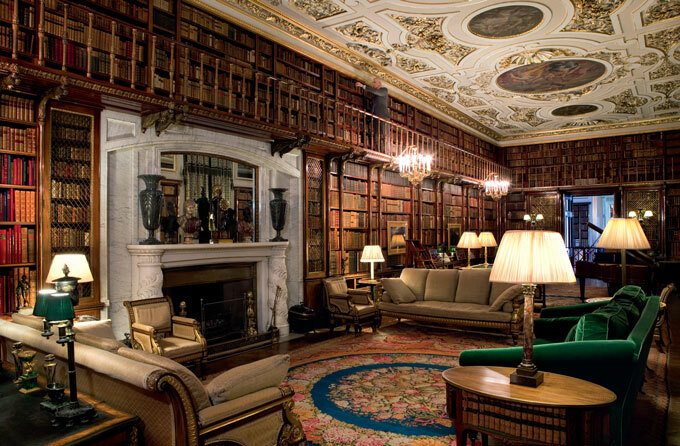 And this is crucial: “the best way to celebrate the book in my mind is to just find a quiet corner somewhere and re-read it.” Let’s do the same for Mansfield Park! Thanks for stopping by Sarah! 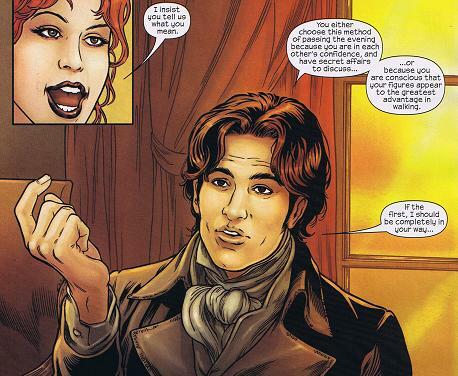 – and yes, I agree about Mrs. Reynolds and her affect on Elizabeth, and then she sees that portrait and she is pretty much doomed from then on! I’m happy to be celebrating P&P all year long, and I can’t imagine that we’ll ever run out of things to say about it. Thanks for your kind words about my P&P posts. I hope the excitement will continue with MP — it doesn’t have Mr. Darcy, but it’s certainly controversial. How true about never running out of things to say about P&P! – all my yearlong plans of P&P reporting went out the window I am afraid with real Life intruding all too often this year – so very grateful to you for doing such a fine job with it all! 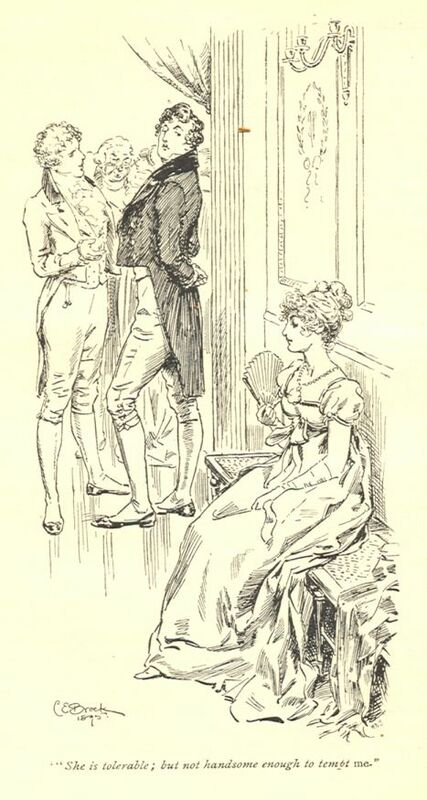 I love Mansfield Park, I am a card-carrying Fanny “fan” – but it certainly lacks the humor of all the other books, and so it shall be a more serious year of contemplation, and hopefully generate a better understanding and appreciation of Jane Austen at her very best. I am looking forward to the AGM in Montreal [closer for both of us! ], as I know Elaine Bander and her team shall make it a memorable celebration! I agree that MP is JA at her very best, and most profound. I’m really looking forward to Elaine’s AGM, too, and it’s nice that it’s not too far to travel (much as I loved the LA, Tucson, Vancouver, and other far-away AGMs). Did you get my message on Facebook about the series I’m planning on 200 years of Mansfield Park? I’d love to have a guest post from you, if you’re interested and have time. Yes Deb, this quotation does have a tongue in cheek quality to it ,but on the other hand the meaning of love, relationships and marriage was very different from what we would describe it today. Jane Austen’s novels and characters are timeless in that they have real human attributes but we also have to understand them in the context of the Georgian period..It is too easy to get it wrong if we interpret them too closely from our 21st century point of view. Hello Tony – I agree that there were different marriage and relationship customs for the time, and I was not intending to comment on the often harsh realities for women – Charlotte’s story tells the tale all too well, and Elizabeth’s not understanding her friend’s decision tells us more about Elizabeth – her prejudices, blindness and immaturity – than anything, and a contemporary reader would have instantly understood it all – and why modern readers have such trouble with Charlotte’s “choice” of Mr. Collins. 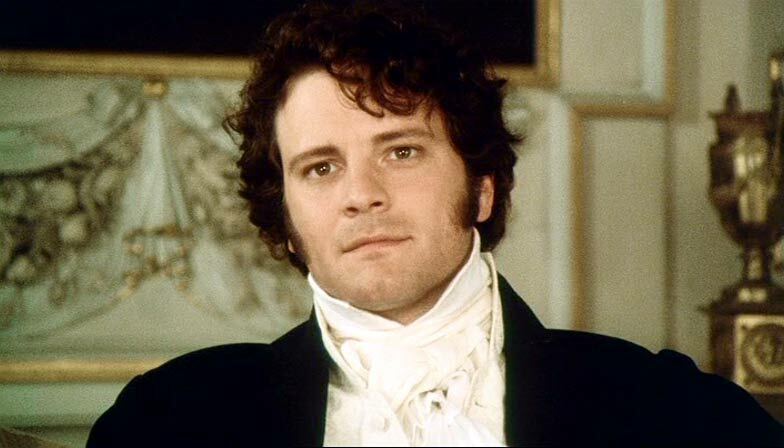 I was just writing on Darcy’s clearly described feelings about Elizabeth, and her reactions to him – Austen making it all very clear to the reader that these two people in the same room together is powerful indeed! – and not a new story at all – one only look at Much Ado about Nothing to see the perfect model. 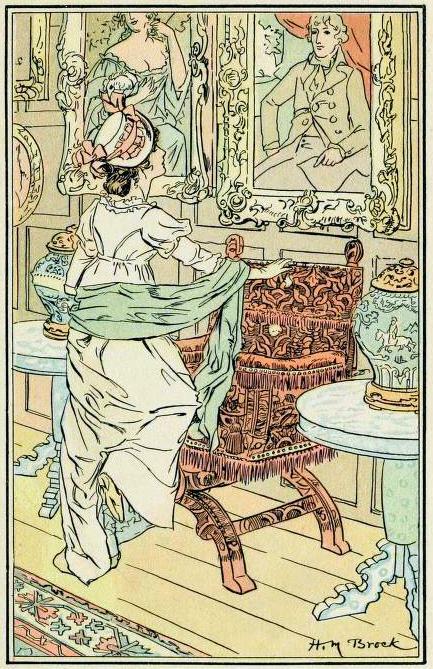 If nothing else, you can see it in the words that Elizabeth uses or the words the narrator uses for anything she says or thinks about Darcy – it is a very passionate, strong vocabulary! 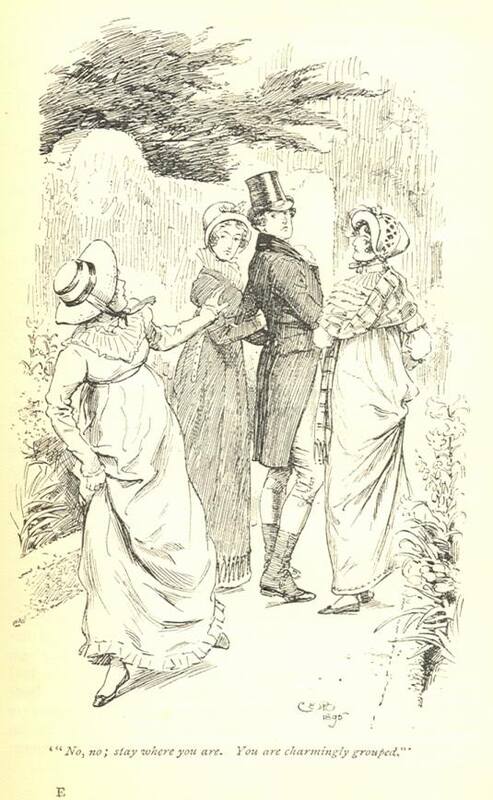 Thanks for your comments Tony – I DO agree with you that we cannot let our overly romantic sensibilities intrude on our reading – but even in understanding the times, it is all still there, and Austen was having her fun in creating this pair of Lovers! – if you have any doubts, just re-read Emma, where the Lover of that tale has been hiding-in-plain-sight the whole time, but if you look very, very closely, you will find him early on… but I digress! – Mr. Knightley shall have to wait for his own turn! It has only just occurred to me in a recent rereading of P and P, that Charlotte was far more intelligent than Elizabeth. In fact, I would go so far as to say that Elizabeth merely considered herself intelligent and perceptive, whilst often demonstrating the exact opposite, whereas Charlotte simply WAS without having to show off. 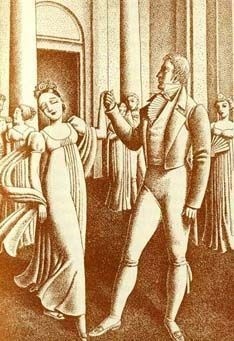 After all, later in the book, Elizabeth heartily regrets her “saucy speech” to Mr. Darcy, after discovering the lengths he took to save Lydia from disgrace and Wickham from, presumably, bankruptcy. And so Elizabeth’s judgement of Charlotte’s decision to marry Mr. Collins, does actually demonstrate her own inability to see different viewpoints. This is brilliantly foreshadowed when Charlotte is discussing how a woman should express love early on in the book. In fact, EVERYTHING Charlotte predicted came true, and almost all of Elizabeth’s presumptions were proved false– often in catastrophic ways. Charlotte said that if Jane didn’t show enough affection, she would lose Bingley. This came true. 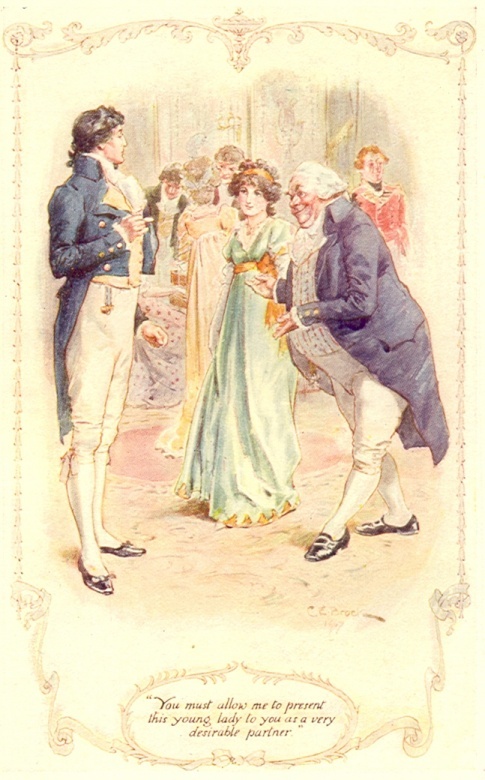 She said that Elizabeth shouldn’t be rude to Darcy just because she liked Wickham; Elizabeth ignored this advice during Darcy’s disastrous proposal. Charlotte is nowhere near as appreciated as Elizabeth, and she should be. Thanks for your wonderful comments – nice to see someone finding so much joy in Austen! I cannot believe this only has 4 likes so far. If I could like it multiple times, I would. I agree with your reading that Elizabeth was definitely interested in Darcy before she saw his house. I love how Austen describes the land though, because a woman of that time would unfortunately have to rely on their husbands or fathers’ land for their security. She may have been interested in Darcy, but the giant estate and a promise of lifetime security does not hurt, even though they are not Elizabeth’s top priorities. I always felt that she was more interested in him after seeing how well-loved he was by all of his staff, and then brushed it off as being impressed by his extensive grounds. Thanks for posting! A fantastic article! I am rereading this book a second time this year (and within a month or two of having finished it a couple of months ago!) and poring over every paragraph. And yet there were many parts that I missed, or read too quickly. Words cannot express my love for this “light, bright and sparkling” gem, and even though I begrudgingly acknowledge that it probably isn’t her “best” novel, technically speaking (I strongly suspect that Emma and Persuasion, which I am also reading now for the first time, are stronger novels), it is the one I revert to with a smile. The number of times I have burst out laughing when reading P and P, or smiled in complacent wistfulness at the growing love between Elizabeth and Darcy, does not need counting.